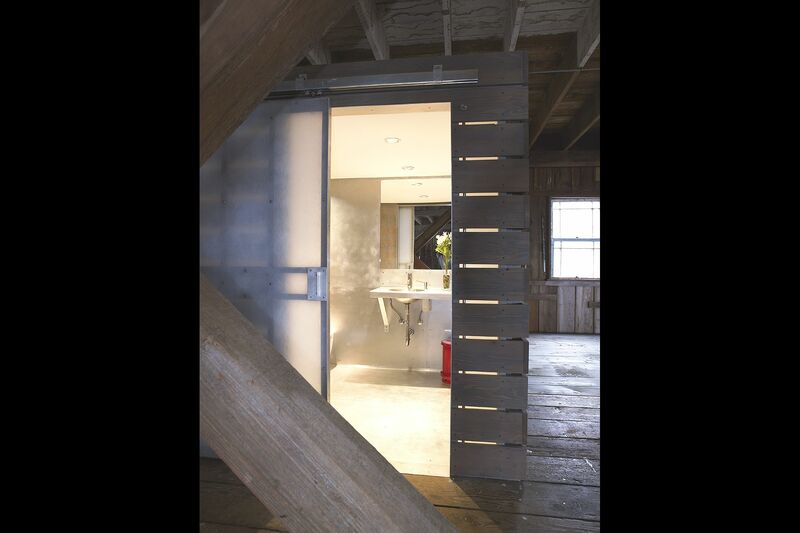 This small bathroom and kitchen, built in an historic fishing netshed, is inspired by its context. Photography by Tom Barwick. 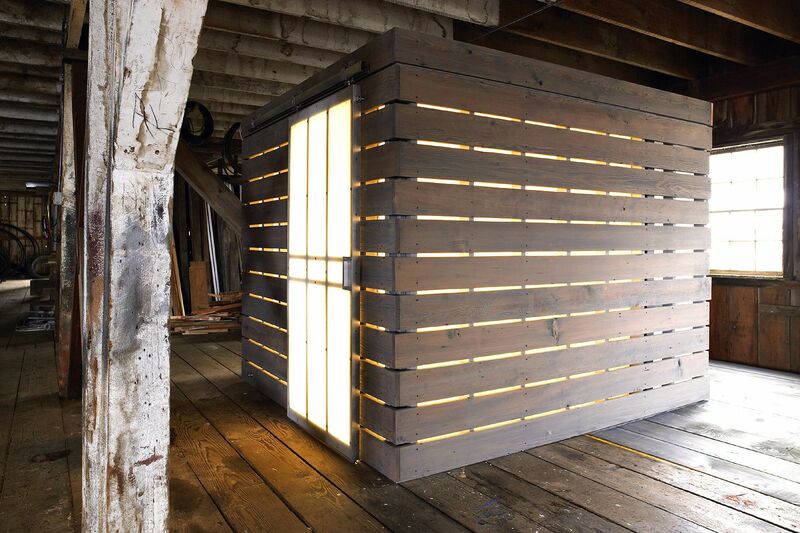 The new freestanding glowing cube illuminates the interior of this mostly unfinished warehouse space, built over the Columbia River. 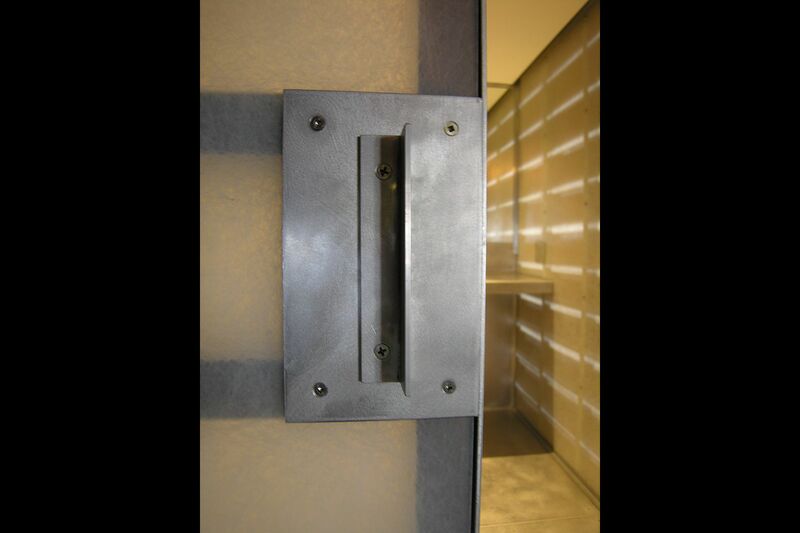 In this unique setting, a sensitive response was sought to interact within the existing building and its riparian environment for the most basic of human needs. Materials are intentionally put together in a straight forward and utilitarian manner, much in keeping with the no-nonsense spirit of a fisherman’s work ethic. 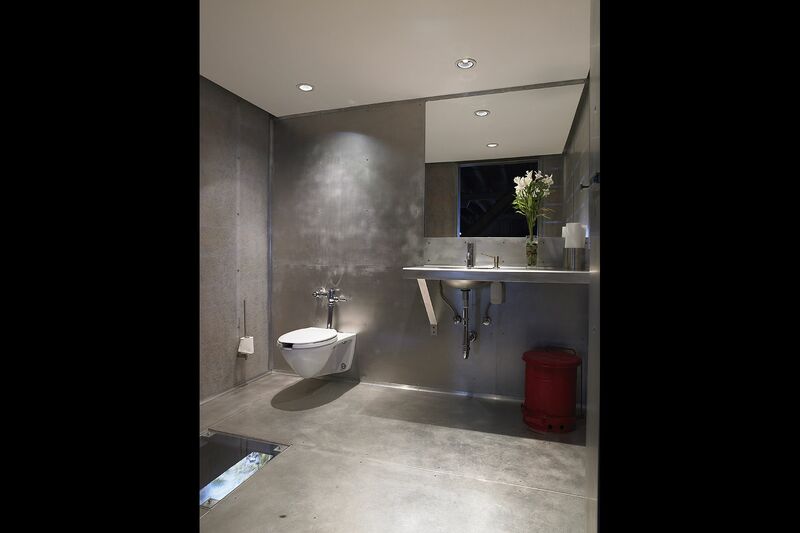 The aluminum plate and translucent fiberglass of the bathroom’s interior were chosen to respond to the aqueous environment by luminously reflecting light and patterns of the water from below. 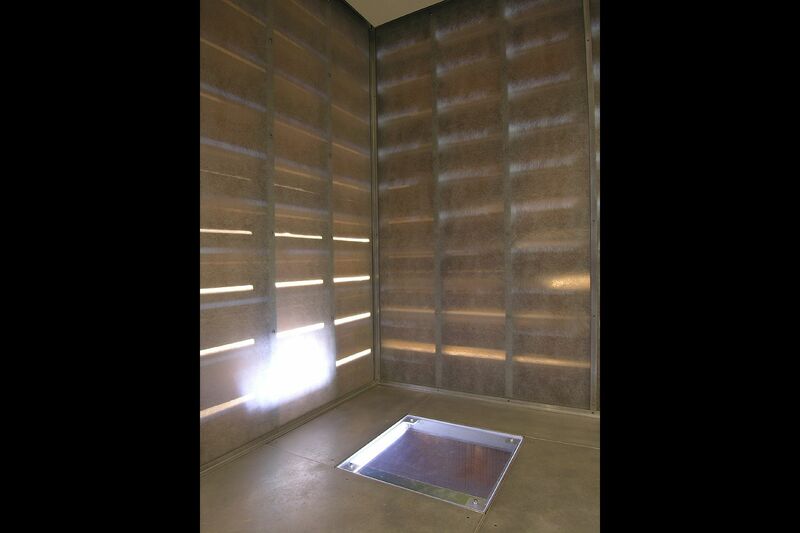 A “riverlite” was cut in the floor of the bathroom to allow a framed view from the WC to the River directly below. At night, light attracts schools of fish. 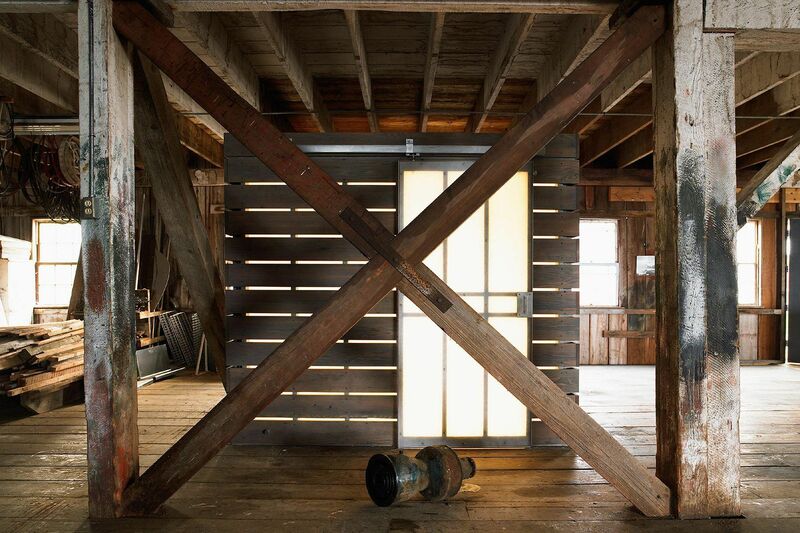 The walls are wrapped in Douglas Fir boards reclaimed from old docks once located on the property. The gapped treatment is inspired by the netshed’s “breathing skin” of board and batten siding which reveals light through cracks during summer months when the siding has dried out.